Sir Hugh William Bell Cairns (1896-1952) was a key figure in the development of neurosurgery in the United Kingdom and pioneered the management of head injury. In doing so, Hugh Cairns illustrated how the value of evidence-based surgical practice can be fully explored. His namesake society (established over a decade ago) recognises his remarkable contribution to the field of public health, as well as to the formation of the modern Oxford University Medical School itself. 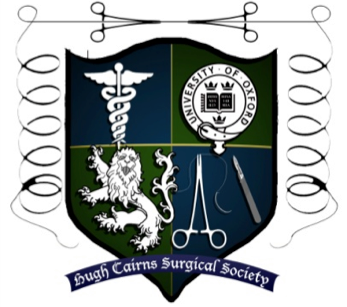 The Hugh Cairns Surgical Society is dedicated to two joint purposes: educating Oxford medical students about the possibilities of a surgical career, and raising money for the charitable Hugh Cairns Surgical Foundation. The Society holds regular themed seminars in different surgical specialties with expert speakers and provides educational resources for all clinical years. Its flagship event is without doubt the annual Surgical Skills Varsity Competition against Cambridge University Surgical Society, held in November. The Foundation is dedicated to raising money to allow Oxford medical students to teach basic surgical skills whilst on elective, particularly in developing countries. Through the organisation of various events, notably the annual Society Dinner, this charitable initiative has already raised over £3000. This is the first such scheme of its kind in the United Kingdom and should provide a model for other medical schools to follow in the future. We would encourage you all to join the Society to maximise your exposure to what is a dynamic and varied area of clinical practice. Join the mailing list and do drop us a line if you would like more information about what we do.